PHOTOS COURTESY OF DREAM FURY COMICS. 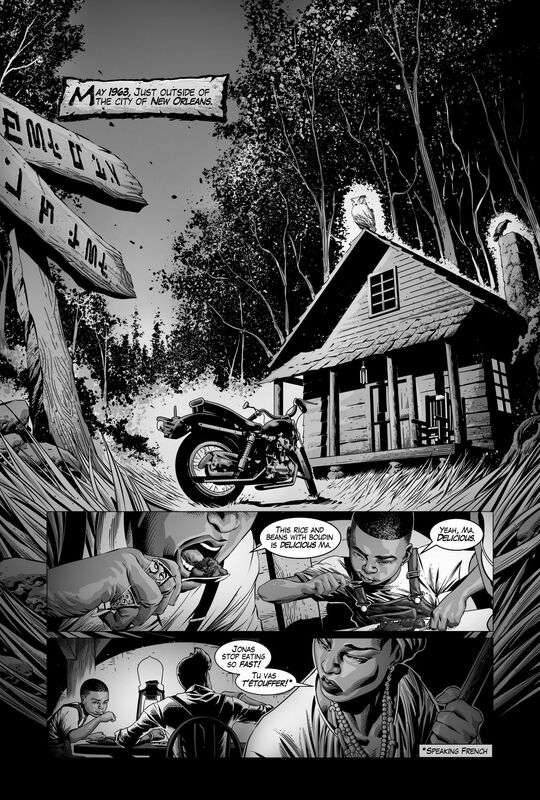 'Crescent City Monsters' is a hit New Orleans comic saga -- with zombies! Comic book characters and their creators have become Hollywood’s darlings, with superheroes from Iron Man to Wonder Woman starring in today’s blockbuster films. But how does a Haitian-born computer programmer who spent decades in New York create a hit comic book about the supernatural world of New Orleans? For Newton Lilavois, it’s been an odyssey. It was 40 years ago that 5-year-old Newton migrated from Haiti to New York City with his family, which was searching for a better life in America and came to Brooklyn. He spoke Haitian Creole, an offshoot of French. But, as he became proficient in English, he found himself enamored with comic books, specifically those in the superhero genre. Soon he was creating his own versions and selling them to his classmates. 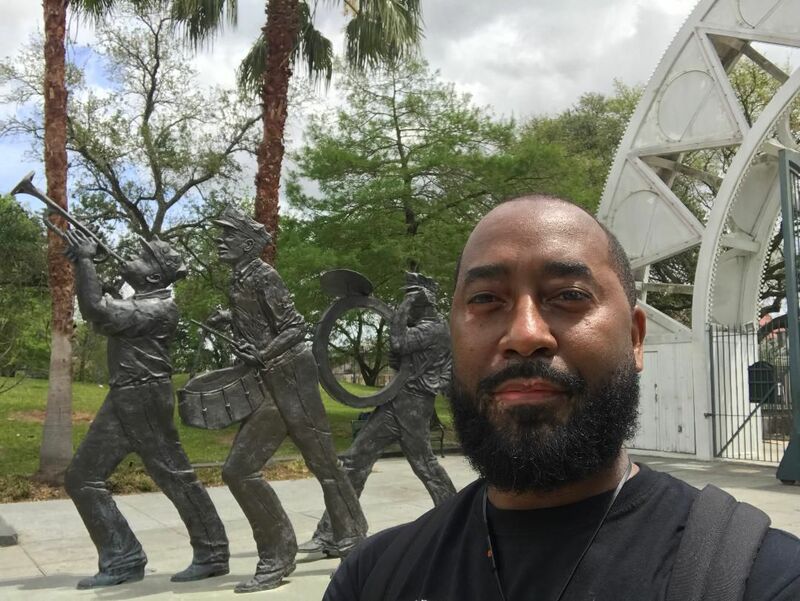 That continual pull toward his dream manifested itself in a Kickstarter campaign, a crowdfunding quest for the seed money to write the first chapter of his newly minted webcomic, "Crescent City Monsters," a neo-noir action/horror story about a blues singer in 1963 New Orleans who is part sorcerer, part freedom fighter. The storyline revolves around Jonas, the lead singer in a blues band who has a bounty on his head that only the “supernaturals” of New Orleans, called the Grunch, know about. The reason for this bounty has not yet been revealed to readers, but what is revealed in Chapter 1 is that Jonas has a few superpowers of his own, and he’s not afraid to use them when backed into a corner. But it's not all zombies, motorcycles and mayhem. The dialogue can become a bit cerebral when Jonas encounters racial prejudice in the Deep South of the 1960s. “I didn’t live through the '60s, but I know from reading about it (that) there was probably no more tumultuous time — even compared with what’s currently going on with (President Donald Trump's) administration,” Lilavois said. Apparently, the reading public agrees. This project attracted a lot of attention initially on social media and then gained steam on Kickstarter. In fact, “Crescent City Monsters” was fully funded in just 48 hours. By the end of the 20-day campaign, three times the requested amount of money had been raised. Lilavois launched the comic just two months ago, along with a publishing company, Dream Fury Comics. The first chapter is free online, and subsequent chapters will be behind a paywall, where access will be restricted to his subscribers … and yes, he already has fans. In the meantime, a print edition is in the works. But Lilavois doesn’t feel an urgent need to sell his print work to the behemoth in the industry, ComiXology (owned by Amazon) which distributes for Marvel and DC. The next chapter of "Crescent City Monsters" is evolving, but as illustrator Bernal acknowledges, it’s a slow process. One completed frame can take eight hours, between the sketch, the inks and the gray tones. As for future projects? Lilavois would like to do the Harriet Tubman story in comic form. A little bit of history, he said — but hold the zombies. Leslie Cardé can be reached at lacarde@aol.com. It was August 2005, and Ciera Payton was home for summer break from the University of North Carolina's School of the Arts.